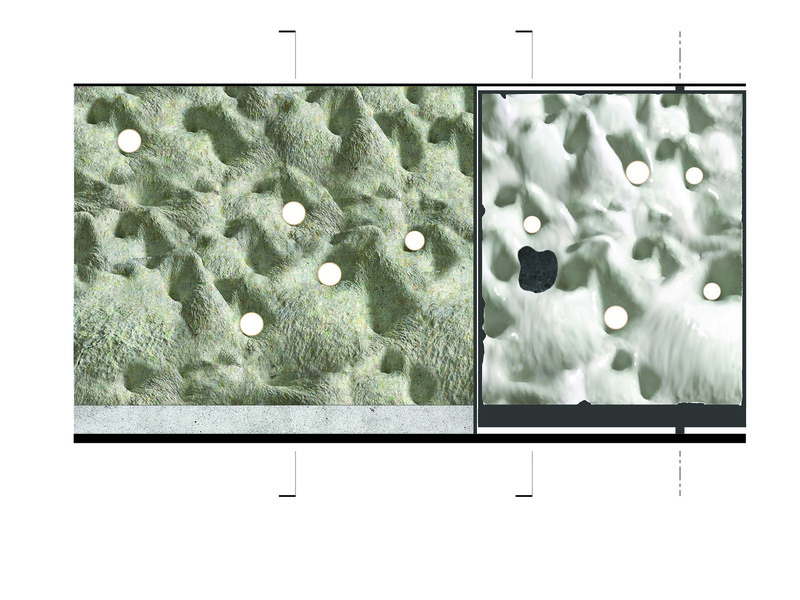 Hydrox Wall is an acoustic remediation project proposed for the Landscape Architecture Annex at UBC SALA. The challenge given to our team was to design and install a wall capable of separating a small pocket of studio space from an active circulation corridor and a noisy gallery. All of this had to be accomplished on an extremely tight budget, a constraint that precluded us from using conventional materials and construction techniques. The solution for Hydrox Wall emerged from our need to reconcile performance requirements and budget constraints. 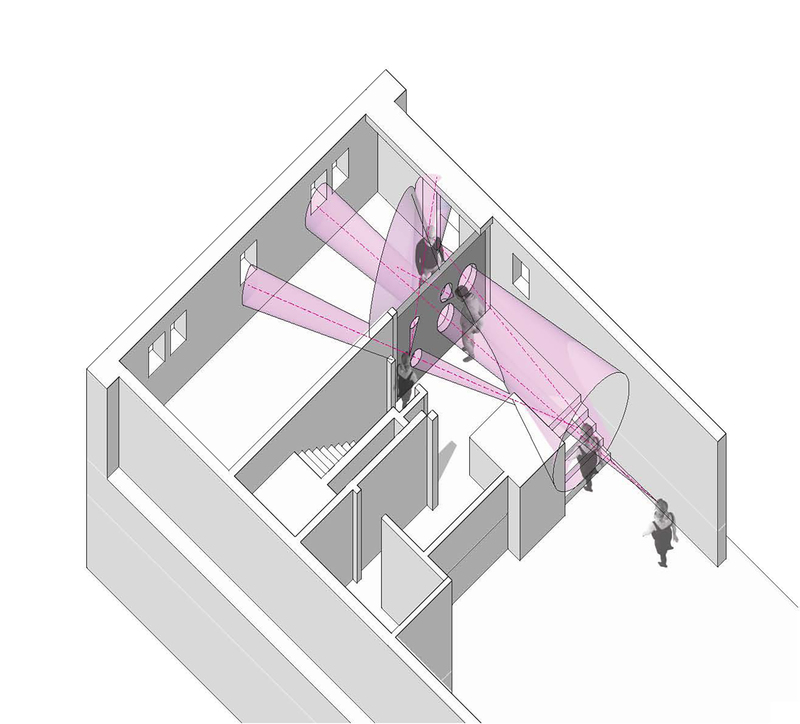 Our approach was to use mass and figure to lessen the impact of sound in the Annex. This led us to select concrete for use in the construction of the wall. After some testing, we decided that conventional concrete construction was too costly, both in terms of materials and time. It was also inappropriate for a department focused on environmentally sensitive practice techniques. While sympathetic to these concerns, we did not want to abandon the benefits that came from casting a wall. 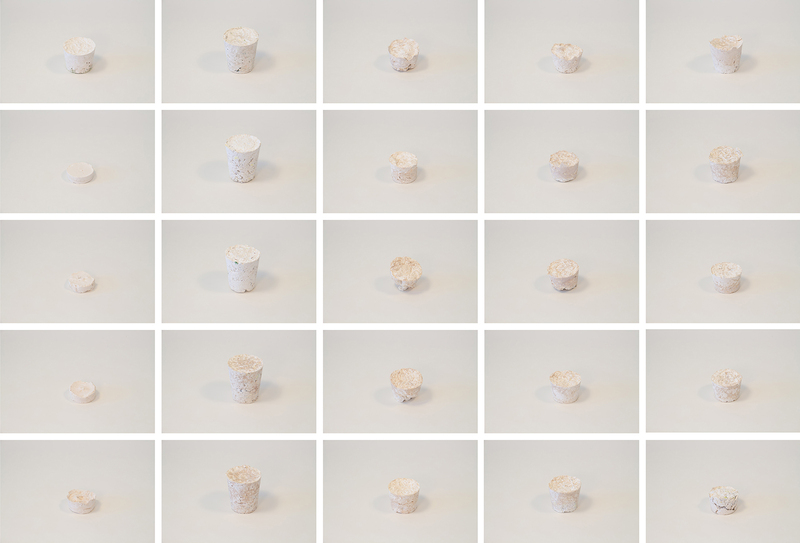 We turned our attention to magnesium oxide concrete, a material that can bind with cellulose (unlike conventional concrete). 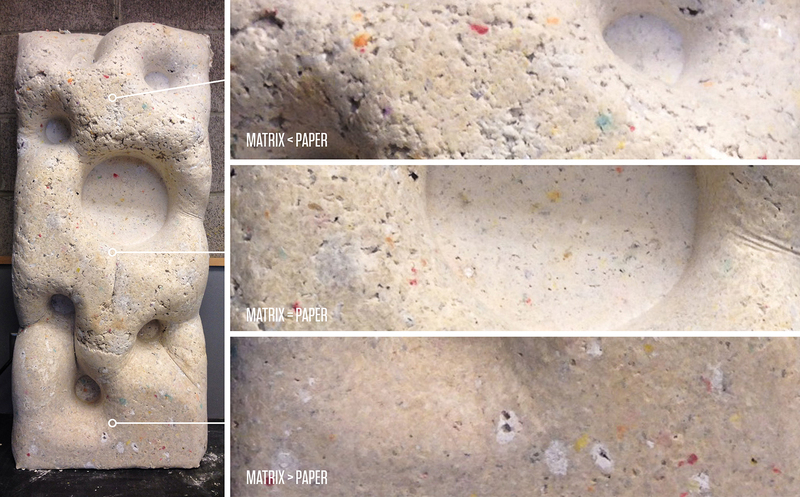 We created a variety of composite materials made of paper pulp produced from harvested campus office waste and magnesium oxide concrete. Material testing was done to identify the strengths and weaknesses of a variety of combinations of the concrete mix with various types of pulp, and phosphate (used as a catalyzing agent). Samples are being analyzed for their compressive strength through UBC Civil Engineering. Once ideal composite mixes were identified, the team devised a strategy for forming the material that would allow for maximum formal flexibility (for the designer) while simultaneously minimizing construction waste. Ultimately we were able to make material panels out of paper (with magnesium oxide concrete as a binder) and panels out of concrete (with paper pulp as a filler). Next our focus turned to formwork. Our approach was to do away with wooden formwork typically used in cast-in-place concrete construction. Instead, the team formed two paper walls (with concrete binder) horizontally. Simple frames were constructed and draped with strategically constrained fabric. These were filled with a pulp mix. Bamboo rods were used as reinforcement (stable once encased in the matrix of material). Once dried, the panels were tilted up, braced, and used as formwork, into which concrete (with paper fill) was poured. Because the quick drying concrete binds aggressively to the paper exterior walls, the resulting sandwich took very little time to complete. Holes were left in the exterior “cookies” allowing the concrete “filling” to leak out and create a dimensional “tie-backs” and to express the internal material. The result is a wall constructed like a Hydrox cookie (the predecessor to the Oreo). The material mixes largely determine the aesthetic of the wall. We chose to create the paper panels from two different campus shredders, which results in a different aesthetic on either side of the assembly. 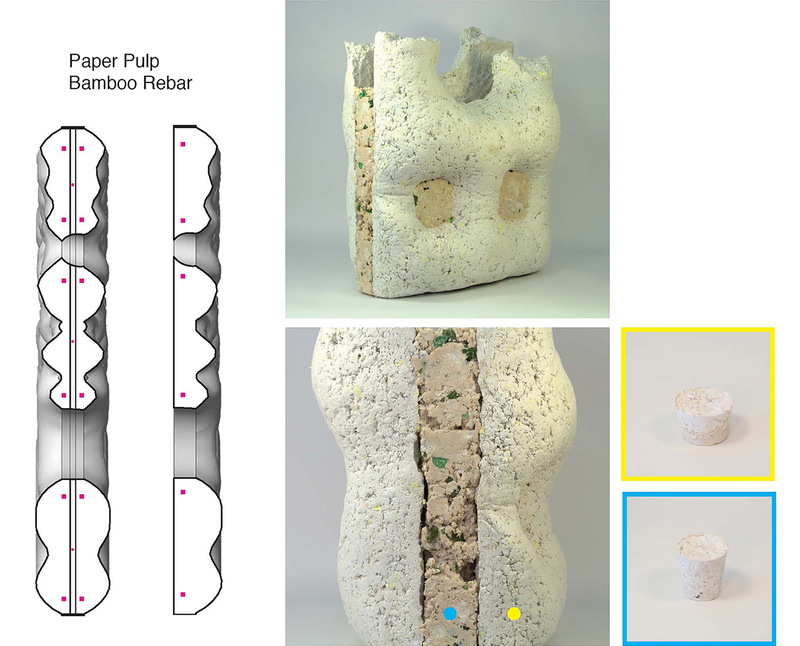 Fig 1: Material testing included generating cores of cellulose and concrete. These were tested for strength and acoustic properties. Fig 2: A door/wall assembly was designed for the Landscape Architecture Annex. Mediated program registered on the assembly as directional portals. The composition of the wall was to allow for pinup while being durable. 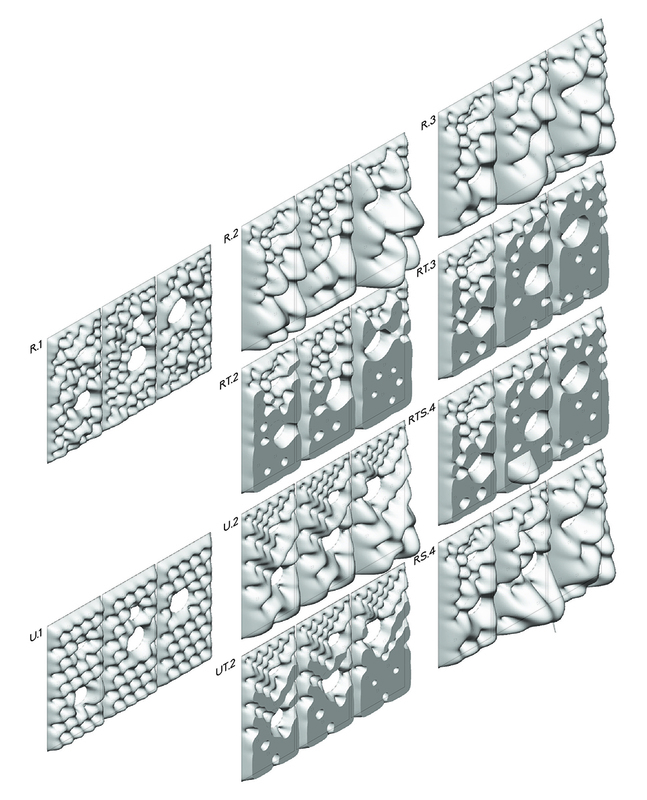 Fig 3: Digital models allowed the team to test a variety of forms and patterns. Fig 4: Half size prototypes were produced to test concrete consistency and to test the idea of a cast “gradient” of material density. Fig 5: Material testing continued with sandwich panels. The inner material provided structural strength and helped bind two softer surfaces together. 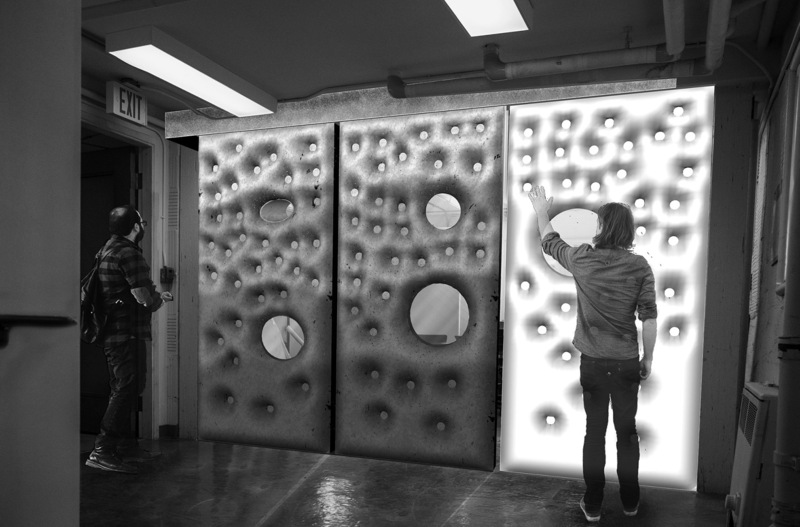 Fig 6: The final installation consisted of fixed cast panels (darker gray – left) that served as a pin-up surface, and a plastic wrapped leaf panel (white-right) in a steel frame that pivoted to form a door.